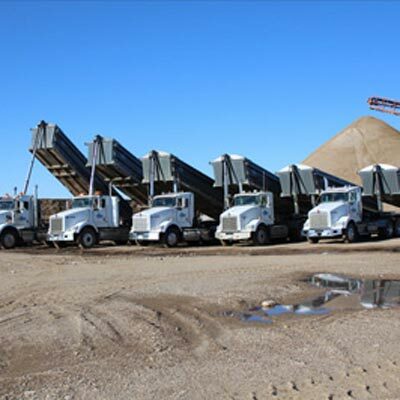 For over 15 years, JJ Trucking Ltd. in Arcola has been providing comprehensive hauling and excavating services for all commercial and municipal properties in the area, including Estevan, Weyburn, and Regina. From the planning and logistics phase to the finishing touches, our crew has the equipment and experience to meet your needs. While our business location has changed over the years, our services have remained reliable and our equipment has been kept up to date with current technology and ever-changing needs in the construction industry. We have a varied fleet of equipment to complete our construction services. From land clearing to delivering aggregates, our professional trucking team can complete your project quickly and accurately. No job is too challenging.